When considering purchasing a new or used bike, the following tips may prove useful in narrowing down your choice and finding the bike that’s perfect for you. These tips are not meant to be entirely comprehensive in terms of the subjects they touch upon, but instead provide a good starting point for learning what will work best for you. Each body is different, and bikes come in many sizes. Finding the one that fits you is important not only for reasons of comfort, but also safety. The first thing I check when looking at a bike is the “standover height” or height of the top tube in relationship to the ground. Standover height is important because A) proper clearance while standing over the top tube ensures safer riding – in the event you slide forward off your saddle you will land with your feet planted on the ground, and not hit yourself on the bike! And B) if the bike frame is the right size for you it will make riding more comfortable and efficient. On bikes made for road, cyclocross, or track, you want a minimum of 1-1/2” clearance between your body and top tube. On mountain bikes, cruisers and hybrids, you typically want 2” or more. Another factor to consider regarding fit is the “cockpit length” – essentially the distance between your saddle and handlebars. If the bike is too big, you will likely feel like you are stretched out, riding in an almost “superhero” flying position. If the bike is too small, you may feel like you’re cramped up, as if you’re riding in a clown car. Cockpit length can be adjusted slightly to accommodate a relatively longer or shorter torso, but not by much. 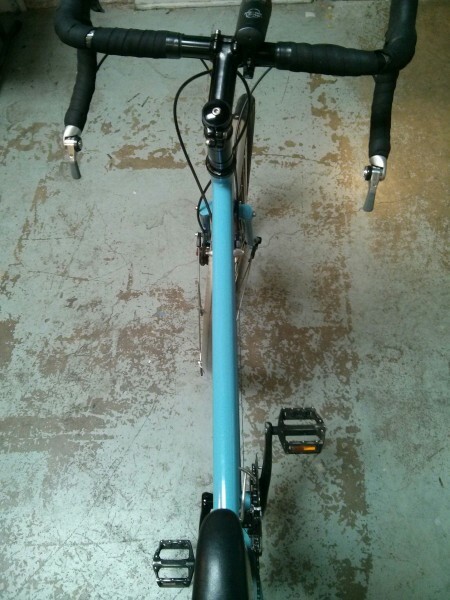 “Cockpit length” – the distance between your saddle and handlebars. One way to adjust the reach is to get a slightly shorter or longer stem, however, this will affect the feel of the steering. Depending on the bike, swapping out a stem can be easier or more difficult, but finding what works best for you may be worth the trouble. The frame can be thought of as the “bones” of the bike, around which components and accessories are attached to and can be replaced, upgraded, etc. to your liking. Again, getting the right frame to fit your body is key, since at the time of writing this article (2016) we still don’t have the technology to make bikes shrink or grow. So find the right size frame, and think of the rest as “variables.” We will discuss those “variables” more in the following sections. An equally important factor to consider when shopping for a new or used bicycle is what it will be used for. Is it primarily going to be used for commuting around town? Are you looking for something suitable for long-distance touring? Maybe you’re looking for a bike to hit up a pump track? Knowing what kind of riding you’re planning on using a bike for will help you narrow down the selection. With some exceptions, most bikes are ultimately what you make of them. 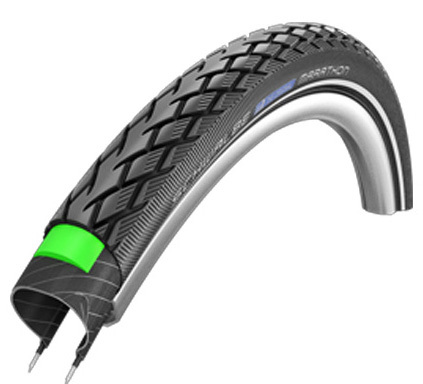 For example, older (non-suspension) mountain bikes can often make good, durable commuters for getting around town by simply swapping out knobby trail type tires with something more suited for the road (check out our popular commuter-appropriate tires, “Schwalbe Marathons” – $44 ea.). Having an eye for detail is an important skill when shopping for a bicycle. A good use of that skill is spotting mounting points for things like racks, fenders, and, of course, water bottle cages. Also, being able to spot features of the frame itself that may be either conducive to, or limiting, the choices you make down the road to customize your bike to your needs. For example, in addition to mounting spots for fender stays, look at the space between the tires and the frame or fork. Is there enough space to fit a conventional fender? 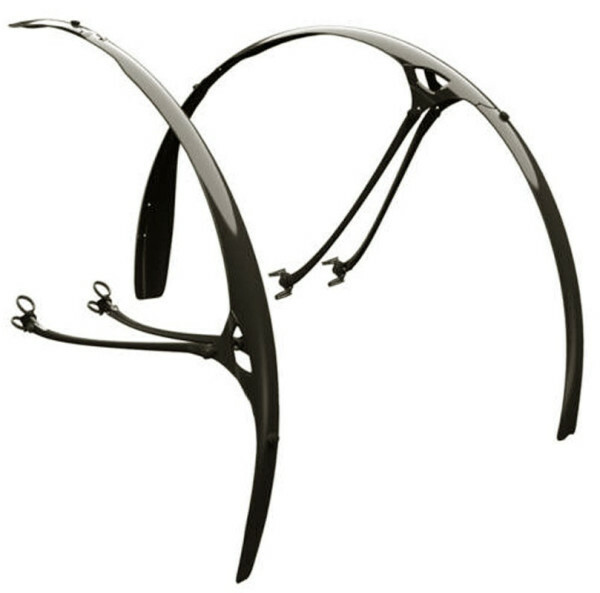 If the answer is no, this does not mean that the bike can’t have fenders, but rather that a special low profile fender might be best (such as the “Road Racer MK2” – $60/pair), or a conventional fender may need to be customized to fit under the brake bridge. There are countless scenarios of compatibility, so it’s best to keep in mind the accessories you plan on using if the bike doesn’t already come with them, and imagine how they may be outfitted on the bike(s) you’re considering choosing from. Once you’ve narrowed your choices down, it’s important to pick a bike that’s appealing to you. Maybe you really like that early 90’s mountain bike with a bright, neon yellow paint job, or maybe you prefer something a little more understated. Either way, make the right choice so that you’re proud to be seen riding it. Spotting wear and tear on a used bike can be a bit difficult for some. Things like chain stretch, or drivetrain wear in general, can be difficult to gauge by eye and sometimes require special tools. At the Community Cycling Center, we offer free estimates for repairs. We do a comprehensive assessment to diagnose any issues that your new-to-you bike may be having, and can work with you to prioritize repairs that need to be done ASAP or identify how much life is left on certain components that inevitably wear over time. Stop by, take advantage of our free estimates, and say “Hello” to some of our talented and knowledgeable staff!